Discussion in 'Showcases' started by Omanoctoa, Aug 26, 2018. I've played Minecraft for a while and I'm sure many of you will agree how BORING the Nether is at times. So I had a creative thought...what if the ceiling of the nether had lava...and the lava could fall?? 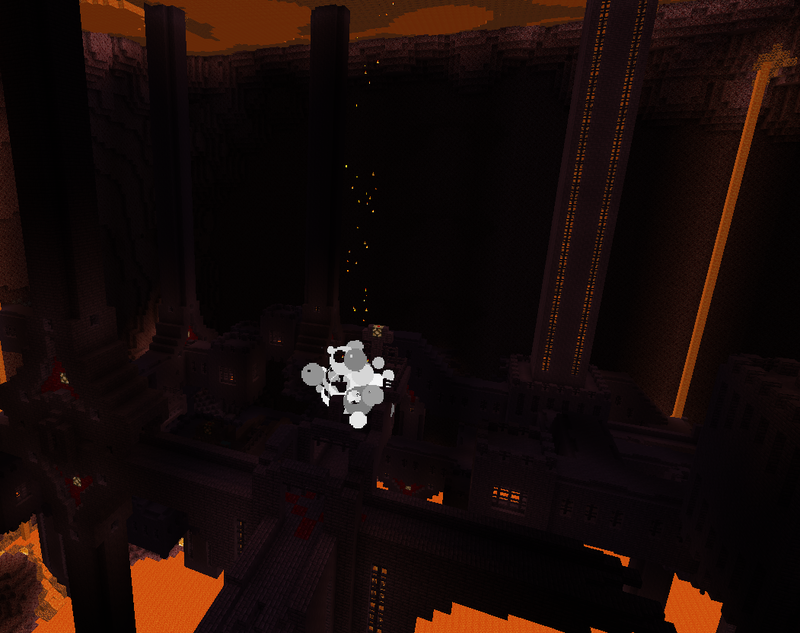 Alright well, I didn't make my Nether have lava ceilings... but I did build a Dungeon with a lava ceiling. Introducing: Lava Drips!! Lava Drips are simple, no-AI mobs that have one purpose in life: to fall. Super-simple, super-effective. The mob itself is 2-part and using it 2-part as well. Simply spawning a LavaDrip on the ground will do nothing but float briefly then explode 5 seconds later. However spawning it in the air...much more exciting! Lava Drips fall with a fiery trail of flames and slam into the ground, dealing damage and burning anything nearby. Potentially they could break blocks too if you want a dynamic experience! However the LavaDrip mob itself is only part of the ambient effect...the second part to complete the experience is to use a random Spawner above the area you want it to spawn with a wide spawning radius. Heads up!! The mob is 2-part with a simple trail skill and I've included a spawners entry to show you want it mine looks like for the area in the screenshot. This prevents the 'fall over' animation that mobs display when they die. It irritated me so much I spent a few minutes figuring out how to hide it. Enjoy your new fiery ambience! !